Have you ever made up an imaginary world for pretend play or daydreams? Do you speculate professionally about probable or possible worlds? Wonder how to nurture creative vision in yourself, your children or your students? If so, this Inventing Imaginary Worlds website is for you. Welcome. Let me introduce myself: Michele Root-Bernstein. Years ago, I trained as an historian, earning a B.A. from the University of Pennsylvania and a Ph.D. in History from Princeton University. Now I identify as an independent scholar in creativity studies affiliated with Michigan State University. In that capacity, I co-authored the book Sparks of Genius, The Thirteen Thinking Tools of the World’s Most Creative People, first published by Houghton Mifflin Harcourt in 1999 and still in print today. Along with my husband and collaborator, Robert Root-Bernstein, I research, write and workshop on the practice of creative imagination in all walks of life. Oh, and I also write and publish haiku, serve as associate editor of Frogpond, the journal of the Haiku Society of America, and occasionally co-present a workshop on haiku and dance in association with the John F. Kennedy Center for Performing Arts. I first came to the study of worldplay as the parent of a world-building child, but I stayed the course as scholar and writer eager to discover inspirational ways and means. The more I learned about this complex play, the more I became convinced of its importance for growing children, problem-solving adults, and an innovating society. How’s that? 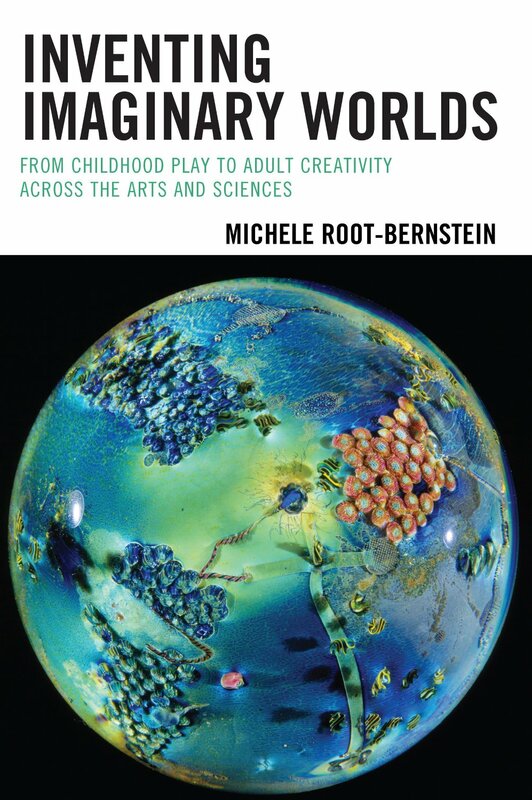 For a full account of my research, I’ll direct you to my book, Inventing Imaginary Worlds: From Childhood Play to Adult Creativity Across the Arts and Sciences, published by Rowman & Littlefield in June of 2014. What I’d like to do here is provide a clearinghouse for additional worldplay stories, exemplars, resources, and studies. Parents, educators, and practitioners young and old who want to know more—more about others who play in self-made make-believe places, more about the benefits of such play in childhood, and more about its role in mature creative endeavor—can find some answers here. And questions, too. What’s Really Real? Graffiti on an electrical box near my home.